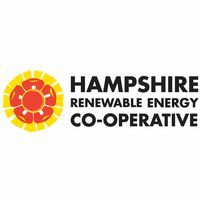 Hampshire Renewable Energy Co-operative (HREC) is a local co-operative identify and building community owned renewable energy system in Hampshire. Our first project was a 28MW Wind Farm at Bullington Cross. Over 2,800 local people supported the development making it the most widely and heavily supported wind farm planning application in the UK. Despite the massive local support our local planners decided to refuse to grant planning permission. We life to fight on! We are now developing a number of community owned solar PV projects - one ground mounted and a number of roof mounted ones on local schools, hospitals and commercial buildings.